Rob Leinberger has an amazing girlfriend, two children, a dog, a cockatiel, a bearded dragon, and a red-footed tortoise. He’s an Eagle Scout and worked as a veterinary assistant during high school. 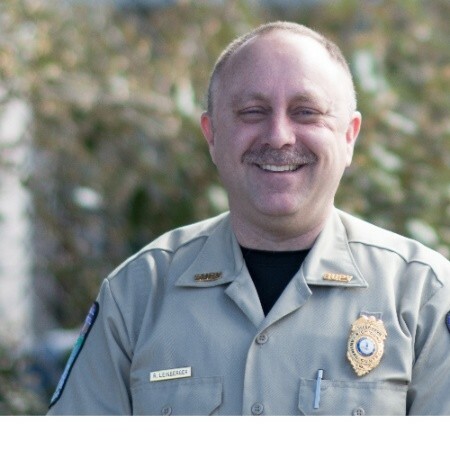 In December 1991, he became an Animal Control Officer for Chesterfield County. Rob joined Richmond Animal Care & Control in January 2016 as the Animal Control Supervisor. He teaches an animal control basic course for new animal control officers in the region. Rob has an Associate’s Degree in Police Science and a Bachelor’s Degree in Human Resource Management. In 2011, he completed a Master’s Degree in Human Resource Management at the University of Richmond. In October 2009, he was elected to the board of directors for the Virginia Animal Control Association and currently serves as its Past President. In September 2012, Rob joined the board of directors for the National Animal Care & Control Association and currently serves as President. Small Group Round Table – What Is Your Agency Doing To Improve Cooperation Internally and Externally?